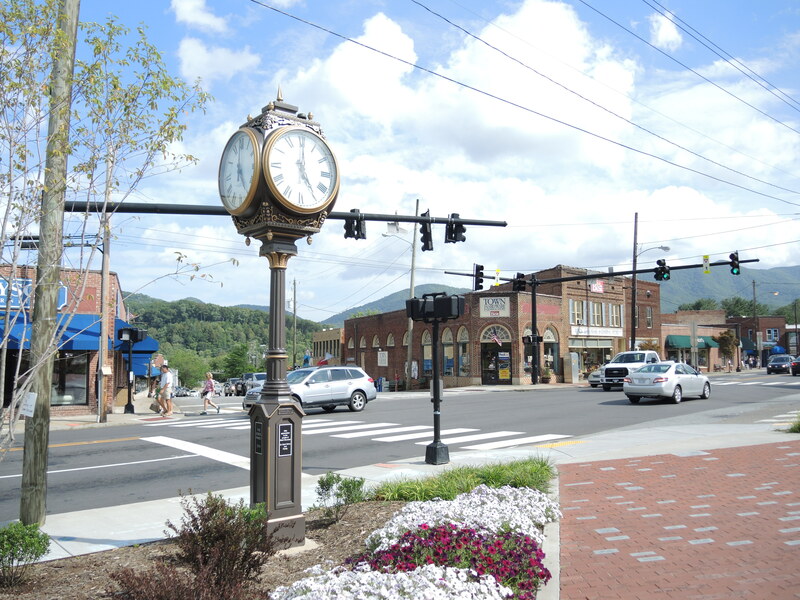 Nestled beside the Blue Ridge Mountains, just minutes from the more popular Asheville, North Carolina, Black Mountain is the perfect place to spend a weekend day strolling around shops or lounging by a lake. 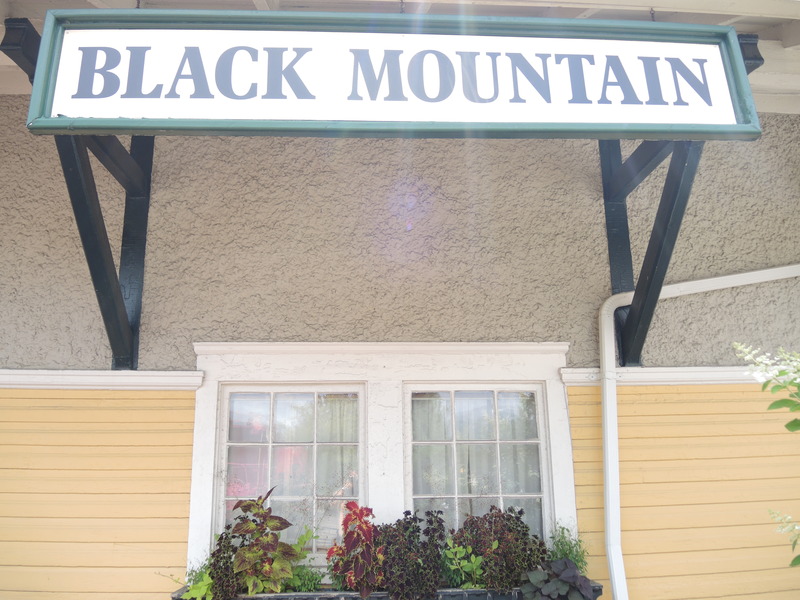 Black Mountain’s motto “The City that Rocks” must not be mistaken for a music reference. 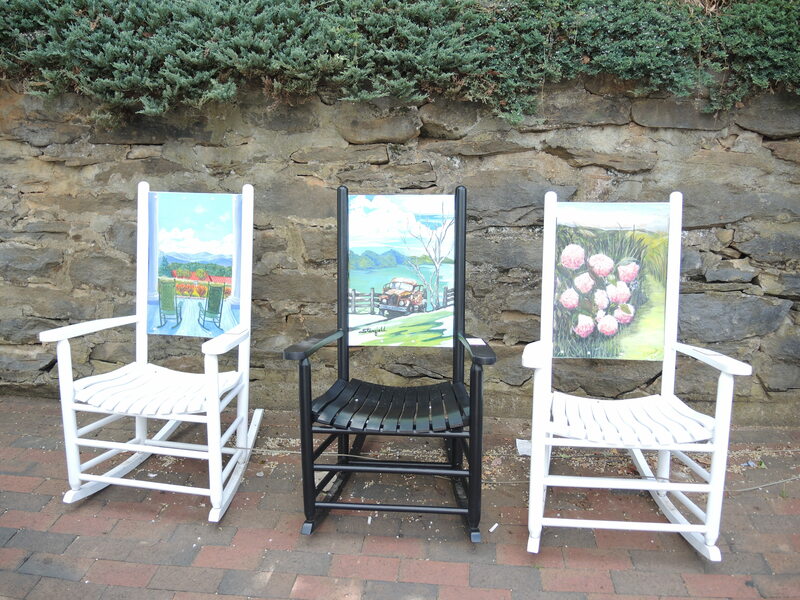 You’ll find old fashioned wooden rocking chairs all over downtown, perfect for relaxing and rocking the day away. Time seems to slow down in this city by the mountains and you’ll want to kick back and relax after a day of meandering down brick lined streets and into the many shops. Even on a weekend in mid-July the city is quiet and quaint. There’s plenty of free on street parking to be found as well as public lots within a few blocks of the town center. Lining three city blocks you’ll find side by side stores filled with locally made art, pottery, and handcrafts, gift shops, clothing stores, bookstores, an antique shop, and plenty of restaurants featuring southern fare, vegetarian options (including several natural food stores), a tea house, cafes, and Sweet on Cherry Street selling candy and locally made ice cream with diary free options available. Wear a bathing suit in the summer and cool off in the fountains of Town Square. You’ll find impeccably clean bathrooms and water fountains by the grassy area too. Head to Lake Tomahawk, just a short drive from downtown to relax on park benches or walk the .55 mile gravel trail that lines the perimeter. Bring tennis rackets or fishing gear to play or watch the day go by. 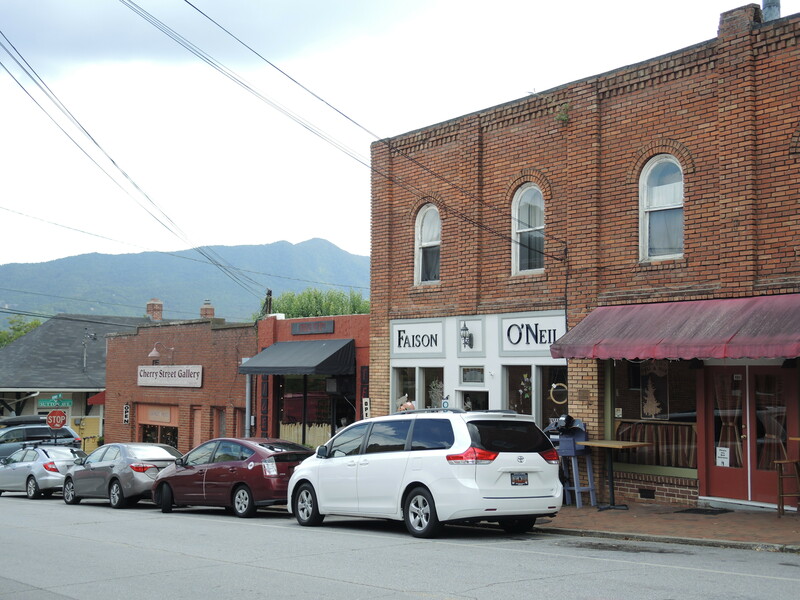 If you’re visiting Western North Carolina be sure to make a stop in Black Mountain to browse through the made-in-America specialty shops, grab a bite to eat, or relax by the lake. 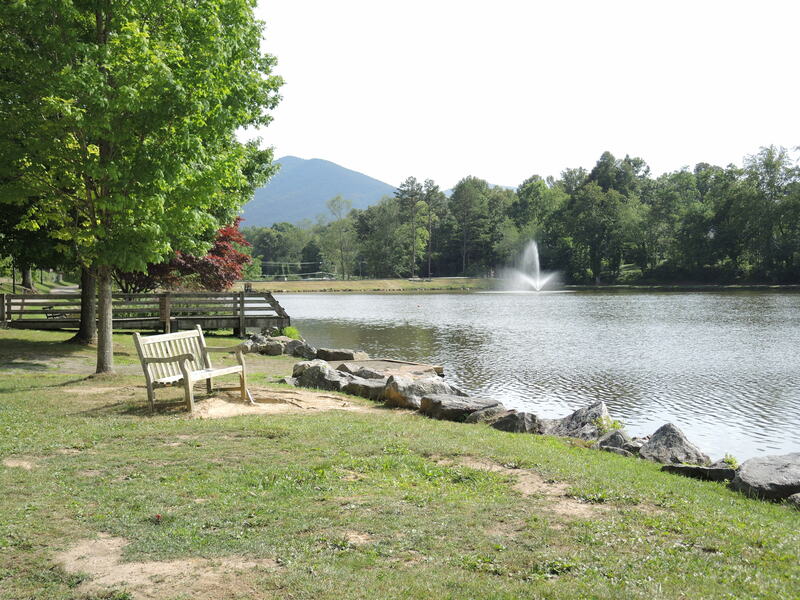 The perfect place to take a step back in time and relax with small town Southern hospitality.